Pioneer Wellness: What are Bioflavonoids? How to get your Daily Dose! The Wellness and Prosperity you Desire and Deserve! What are Bioflavonoids? How to get your Daily Dose! Are you still looking for reasons why you should adopt a whole foods diet—or even more motivation for increasing your daily servings of fruits and vegetables? Happily, the phytonutrients that create the bright colors of so many of our fruits and vegetables also offer amazing health benefits for the body. Let’s look at bioflavonoids and all they do to help your body fight disease and stay healthy. Bioflavonoids are considered semi-essential nutrients for the human body, but because they do so much good, many doctors and researchers refer to bioflavonoids as “vitamin P” because they exhibit many of the characteristics of a true vitamin. Bioflavonoids fall under the category of phytonutrients, or nutrients derived from plant sources. These phytonutrients are not considered essential for keeping you alive like vitamins and minerals, but they contribute greatly toward your overall health and wellbeing. 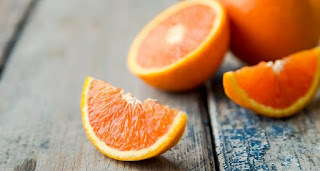 In fact, bioflavonoids work especially well with vitamin C, in particular, which we’ll learn more about a little later in this article. Where Do Bioflavonoids Come From? Bioflavonoids are found mainly in plants, including the fruits and vegetables that are (or should be) a large part of the human diet around the globe. Bioflavonoids create the pigmentation in these fruits and vegetables. The more pigmented a plant is, the more bioflavonoids it contains, so consuming a rainbow of fruits and vegetables is your best option for increasing your bioflavonoid intake. Thus far, over 8,000 unique bioflavonoids have been identified—most of which are found in common fruits and vegetables used in cuisines all over the world. How Does the Body Use Bioflavonoids? The reason bioflavonoids are not considered vitamins is because their concentration in our blood is not as great as is the concentration of vitamins or minerals. In addition, we are still learning how, exactly, flavonoids act in the body. It seems that in most cases, flavonoids are altered by our metabolism, and it is the altered forms of the flavonoids—and not their original forms—that provide the benefits. That they are important is well understood, however. Bioflavonoids, along with the vitamins, minerals, fiber, and other nutrients found in whole fruits and vegetables, are part of the synergistic healthful effect of eating a whole foods diet. Bioflavonoids produce both health-promoting and therapeutic benefits. Some of the health-promoting benefits include improved eyesight, a strengthened immune system, better cardiovascular health, increased capillary strength, and support for the connective tissues in the body. Therapeutic benefits are found as bioflavonoids help the body overcome or eliminate symptoms of conditions and diseases like allergies, inflammation, coronary heart disease, and more. Bioflavonoids are also excellent antioxidants as they sweep up the free radicals that cause aging and internal damage over time. Their anti-mutagenic, anti-carcinogenic, and anti-aging effects have been well documented, as is their positive effects on the circulatory system. As has been mentioned, bioflavonoids are excellent antioxidants. They are also particularly helpful at protecting the vitamin C molecule—another well-known antioxidant—from suffering from oxidation within the body. Fortunately, bioflavonoids are especially abundant in many of the foods that also contain vitamin C. Research into the roles of both vitamin C and flavonoids in the body strongly suggests that vitamin C is actually beneficial in large part because of the actions of flavonoids. The vitamin C, or ascorbic acid, molecule can give up two electrons and two protons, creating a new molecule called dehydroascorbic acid. While the ascorbic acid molecule and the dehydroascorbic acid molecule can freely exchange the two electrons and protons, dehydroascorbic acid is unstable and can be undergo another irreversible reaction, which will destroy the vitamin C as a usable molecule in the body while creating dangerous free radicals. Flavonoids help prevent this from happening, thereby allowing the body to make use of more of the vitamin C that you consume while also preventing the formation of more free radicals. There are four main categories of bioflavonoids, and each of them acts in the body in slightly different ways. Found in abundance in red grapes, grape skins, grape seeds, and wine, proanthocyanidins are powerful antioxidants that appear to strengthen the cardiovascular system while also acting as anti-carcinogens and anti-allergens. Aside from red grapes, grape seeds, grape skins, and wine, other good sources of proanthocyanidins include apples, cocoa, cranberries, blueberries, peanuts, and the bark of the maritime pine. Quercetin is one of the most highly studied flavonoids, and it seems to work best when taken in conjunction with other bioflavonoids instead of on its own. This may be because quercetin is not very bioavailable as a single flavonoid and works much better as a partner with other bioflavonoids. It boosts the strength of citrus bioflavonoids in particular, such as rutin, quercetin, and hesperidin. Quercetin seems to produce many health benefits, including acting as an anti-allergy, anti-hypertensive, anti-inflammatory, anti-atherogenic, and in strengthening blood vessels when taken with rutin (such as that found in black and green teas). Quercetin is also a great antioxidant. Food sources of quercetin include apples, onions, cocoa powder, berries, black and green teas, and a bevy of raw and lightly steamed fresh vegetables like kale and broccoli. As the name implies, citrus bioflavonoids are found in citrus fruits and include rutin, hesperidin, quercetrin, and naringin. Citrus fruits are excellent sources of vitamin C, and as we’ve seen, bioflavonoids protect the vitamin C molecule and enhance the body’s ability to gain benefits from vitamin C. Therefore, citrus bioflavonoids are beneficial in many of the ways vitamin C is: as an antioxidant, in supporting heart health, decreasing many of the signs of aging, protecting brain function, building and maintaining connective tissue, and improving circulation. Find citrus bioflavonoids in citrus fruits such as oranges, lemons, limes, grapefruits, tangerines, clementines, kumquats, and citrons. Comprised of catechin, epicatechin, epicatechin gallate, epigallocatichin gallate, and proanthocyanidins, green tea flavonoids are especially abundant in the steamed fresh leaves of the Camellia sinensis tea plant. Green tea polyphenols appear to protect the body as an anti-carcinogen and as a heart health support. It may also protect against atherosclerosis. A diet rich in fresh or frozen raw and lightly steamed vegetables and fruits (not cooked long enough for the color to dull) will deliver plenty of bioflavonoids to benefit your body. Remember that, while some researchers call bioflavonoids “vitamin P” because of their extensive list of health benefits, they seem to work best in conjunction with the vitamins, minerals, fiber, and other nutrients provided by raw and lightly cooked whole fruits and vegetables. Instead of acting on their own, they enhance the efficacy of other nutrients, and the body usually metabolizes certain bioflavonoids into other forms that it can then use. In supplement form, bioflavonoids are best when they are part of a longer list of nutrient-rich ingredients. Particular flavonoids can have specific benefits, so you’ll often find different flavonoids included in different types of supplements. See here for a variety of supplements that include bioflavonoids. 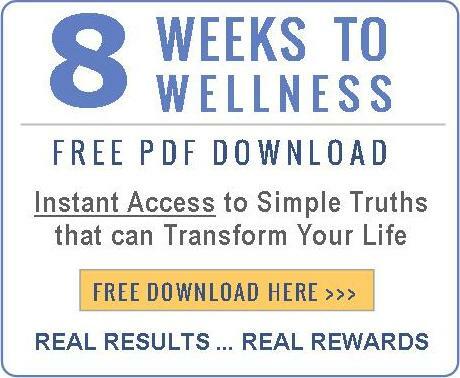 life change, then download our Eight Weeks to Wellness. The Wellness Program that reveals simple truths to transformation. Evince Management Agency, LLC. Theme images by epicurean. Powered by Blogger.